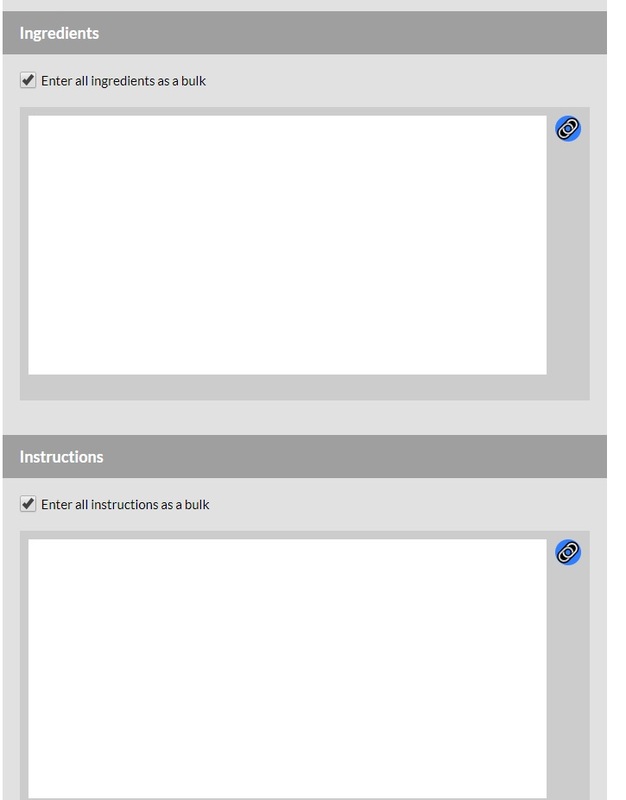 When I first started this blog I shared a step by step post about adding a recipe card to a blogger blog using recipe wiz.Unfortunately that no longer works and I have now found an alternate option which not only is easy to use but very compatible with blogger and SEO friendly way to make great printable recipe cards. 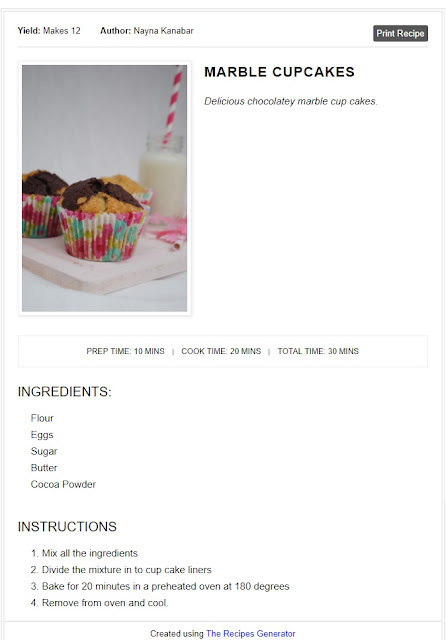 This recipe card is compatible for blogger blogs and is created using recipe generator. 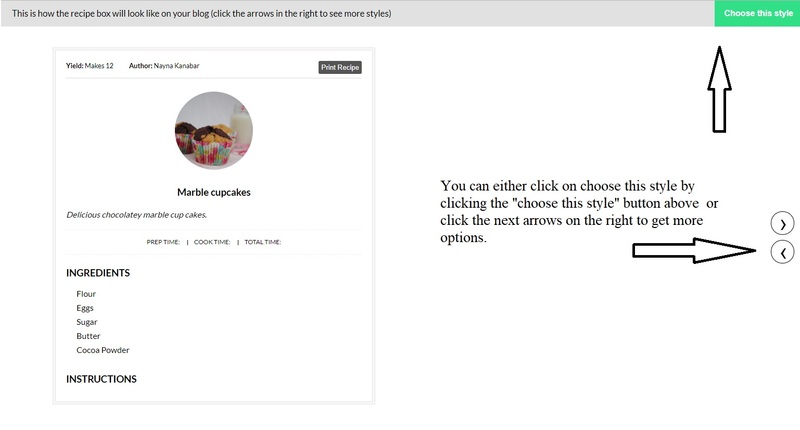 You can also use the recipe cards for wordpress, wix and squarespace and the cards also support pinterest rich pins too. The recipe cards are visually great and make following a recipe easy. They are extremely useful as the cards can be printed to add to your own favorite recipe box. Furthermore the recipe cards are well received by google search engines making them a must use for anyone writing a recipe blog. 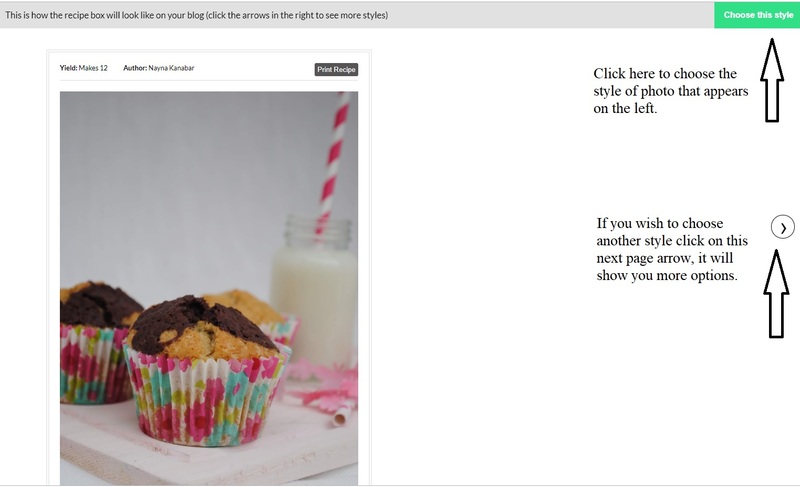 I am going to share step by step instructions on this post on how to create the recipe card and use it on a blogger blog. 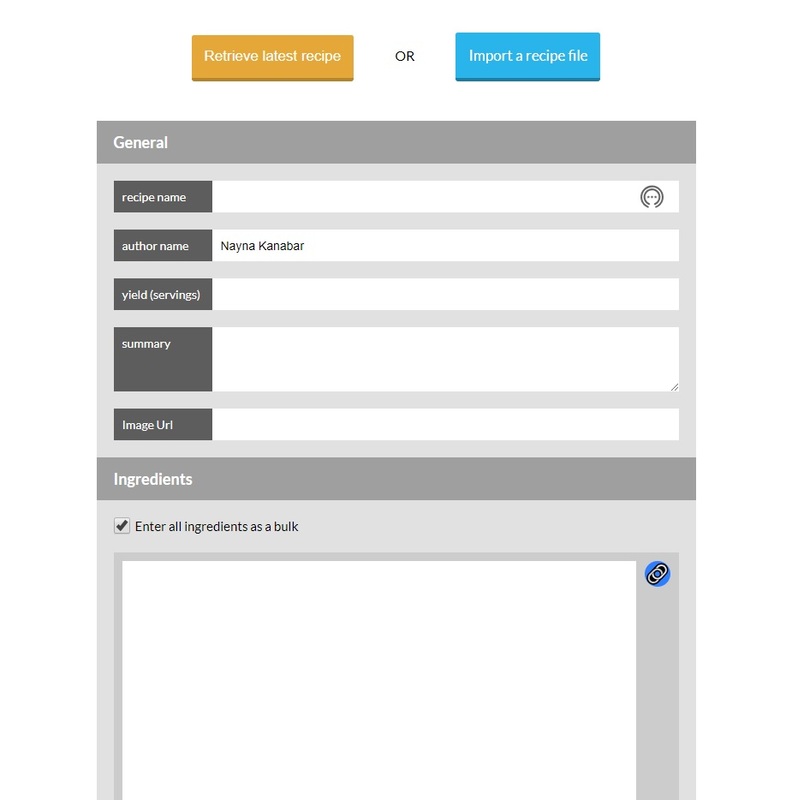 How to add Printable recipe card with Recipe Generator. 2. Create an account and save the log in details. 5. Scroll down and fill in the Ingredients list and method. 6. Next fill in the prep details. 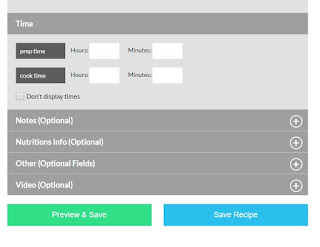 Adding any notes, nutritional info, other options and video are optional extras. You can leave that category empty if you want. 7. Next Click on "preview & save" at the bottom of the page. 9. Once you are happy with the style selection click on "Choose this style".The next screen will give you a code. 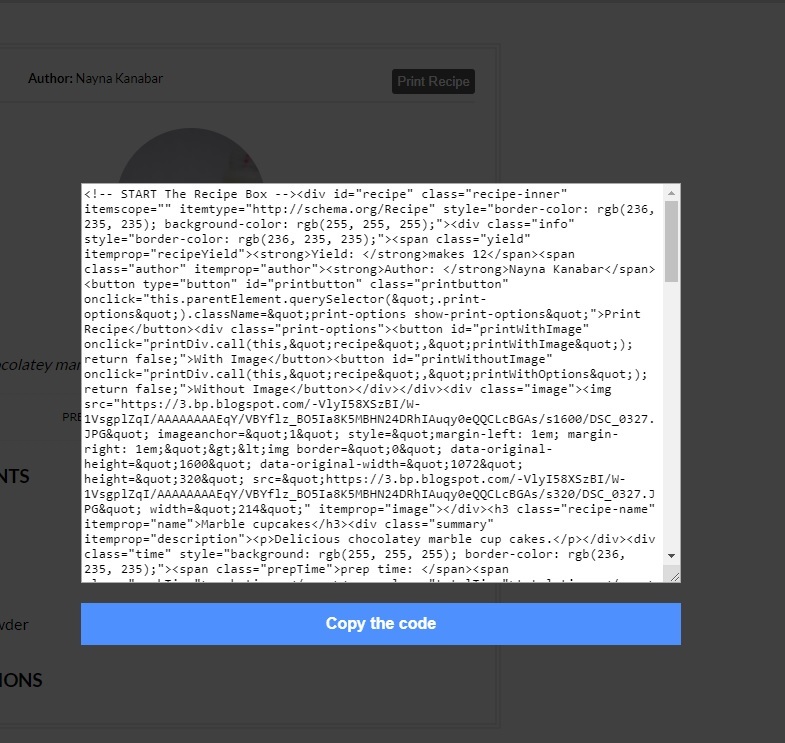 Copy this code. 10. Log into your blog and create a new blog post. Choose the html option in the post and add the code you copied. Save the blog post. 11. Preview your post and you will see a beautifully created recipe card. I have been using the recipe generator site for a few months now and I am really happy with it. I also like the fact that the site is well maintained with regular updates. Not to mention that the support there is one of the best I have ever experienced. The recipe generator is only $3 per month and you can join it for a duration of 6 months at a time. If you would like to try the Printable and Pinnable recipe cards with the Recipes Generator, I have a special readers discount code. I saved this so I can use this site fir my next recipe. I love the way it allows my readers to print the recipe. I love recipes, but cooking those recipes doesn't always love me. This is a great article on ways to add recipes to a blog should I be so inclined in the future. 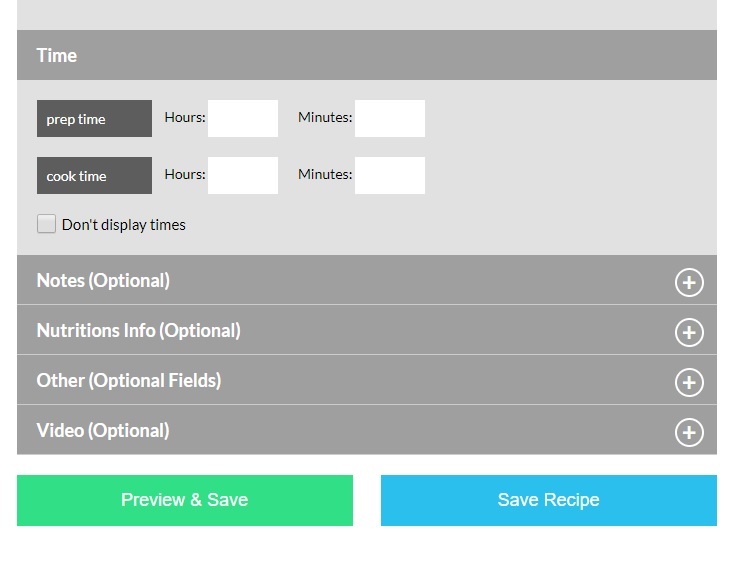 My cousin has been looking for a recipe tool like this. I will pass this along to her! this will be so helpful for all of the random, yet awesome recipes I come across. It's also a good template to build your own personal cookbook. thanks for sharing! Wow! This is incredibly helpful!! I'll be saving this post so that I can create these in the future!! These are some very awesome cards that you can have. I never knew that they printed like this. This is a super useful tool! I am totally saving this! Thank you! That's so helpful! I'm sure people with family recipes handed down from generation to generation would get a TON of use out of this! I tend to be disorganized when it comes to cooking and recipes, and this would definitely be a good tool for me. Thanks for sharing, I've never heard of this! What a wonderful website and cards for food bloggers! They will be very thankful! This is really great information for food bloggers. It makes it so much more user friendly when bloggers set their posts in this way. I swear by bloggers for recipes! Love your info! I can't wait to use it on my blog! Thank you for sharing it!